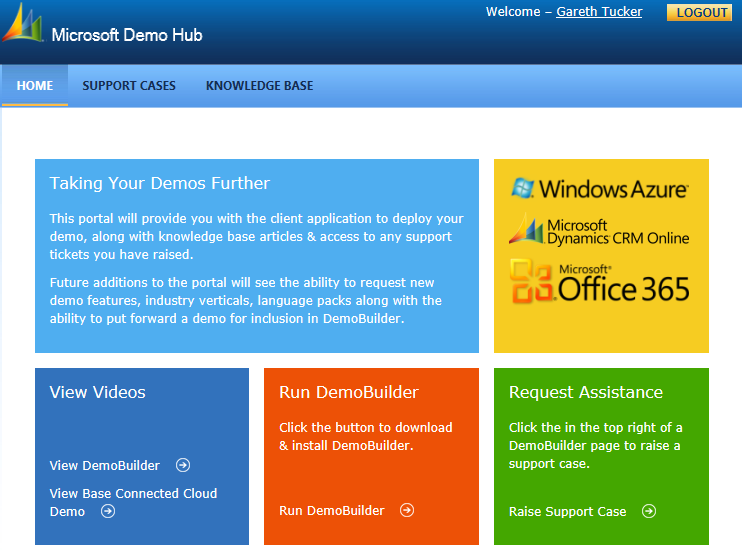 Last week I got an early look at Microsoft’s new Demo Builder utility for Microsoft Dynamics CRM Online and Office 365. Expect to hear an announcement on this next week. The utility is a provisioning wizard that quickly deploys an integrated demo environment in the cloud to showcase Dynamics CRM, SharePoint, Lync and CRM-powered portals on Azure. Why should you care? 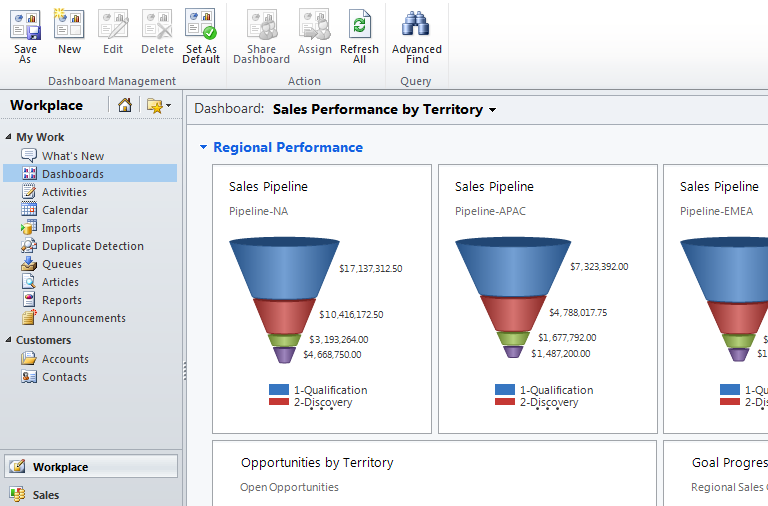 Well if you are selling this SAS stack then this is definitely going to be useful. 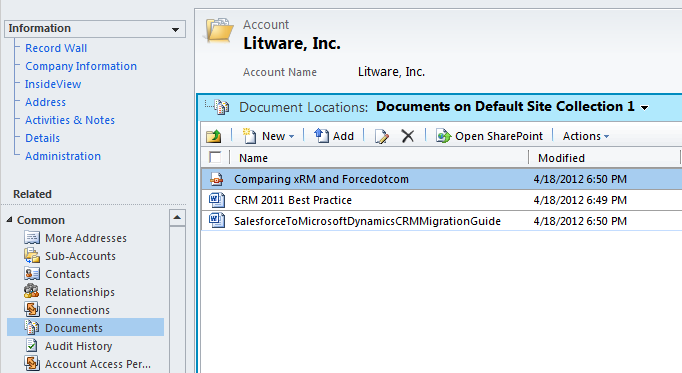 But even if your focus is solely Microsoft CRM there is still benefit, as a Microsoft CRM demo can really sing when you include a little SharePoint and Lync integration. 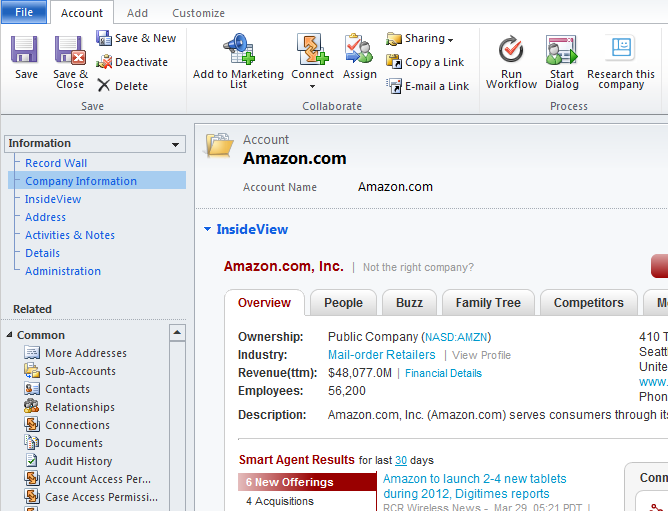 And there’s some other cool functionality showcased in the packaged demo that you will like. Now I tend to prefer creating demos in a VM because there is no 30-day expiry period, no risk of internet connectivity issues upsetting you on demo day and because my VM environment is faster then CRM online. 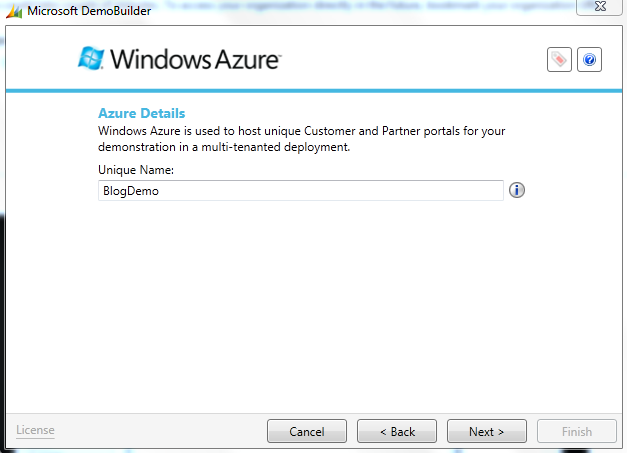 But for the benefits mentioned above I will utilise Demo Builder in some cases in the future and I will always have an environment up and running so I have the various demo features up my sleeve. After an hour or so the process will finish and you can click a link to be sent an email containing all the URLs and logons you need. 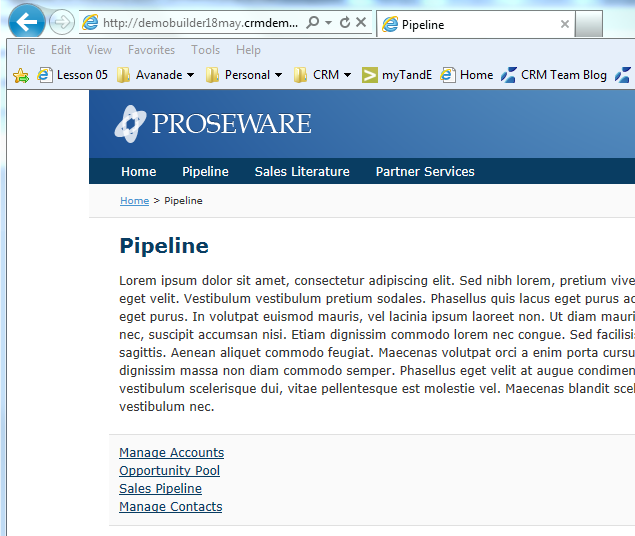 And a script is provided that guides you on how to setup and demonstrate all of this. 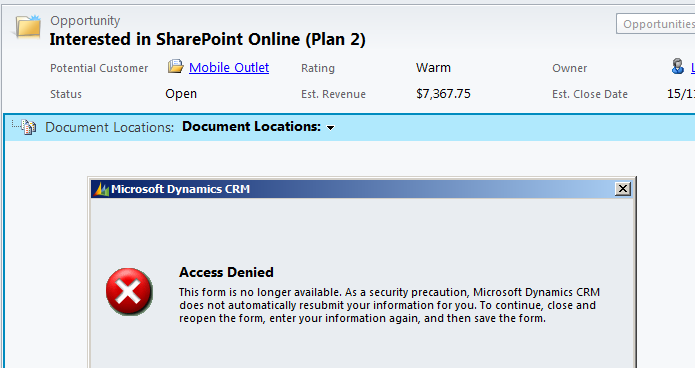 My favourite part of the demo is where you launch SharePoint from a CRM Opportunity and quickly create a collection of proposal documents from organisation templates. You then browse a slide library in PowerPoint and select some slides that you want to incorporate into your proposal and with a click of button copy those into your proposal. Very nice. The tool is still very young but it works ok and I’m glad it’s here. 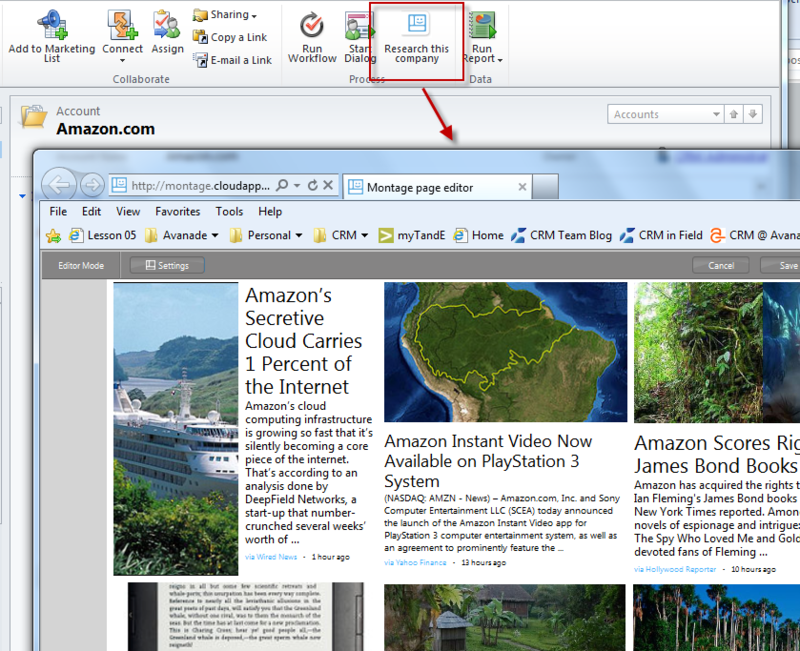 There’s promise from Microsoft of more functionality to come, including some industry templates. 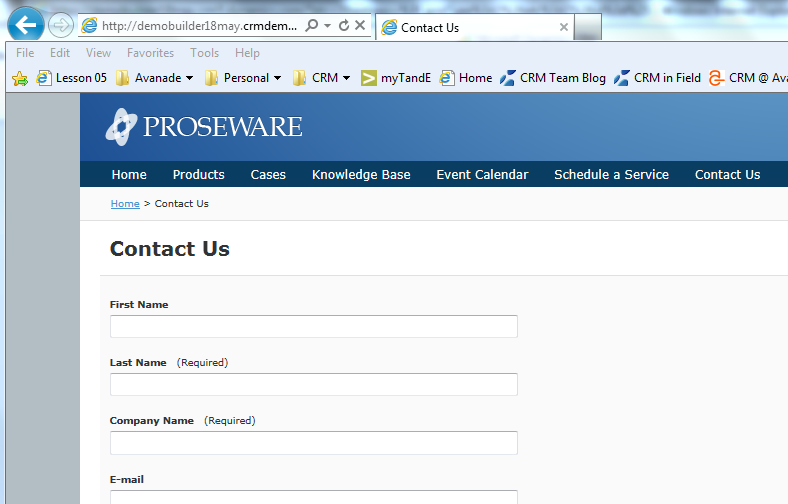 The tool doesn’t replace the need to personalise your CRM demo to your customer’s business processes and it doesn’t help you once you actually sell the solution and need to implement, but it will allow you to quickly and easily show off some of CRM’s harder to setup capabilities. 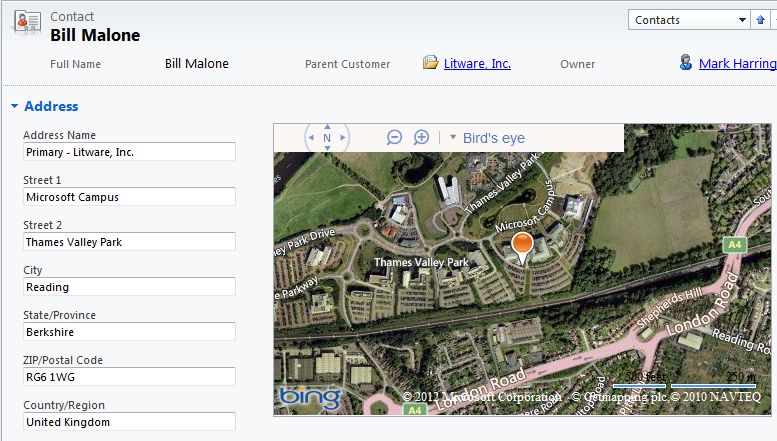 This entry was posted in Uncategorized and tagged CRM 2011, Demo Builder on April 24, 2012 by Gareth Tucker. Love it. thank you for the post exactly what I needed at the right time. Got the heads up from the blog. This is an amazing resource. Excellent blog post. Extremely useful and timely. Thanks! 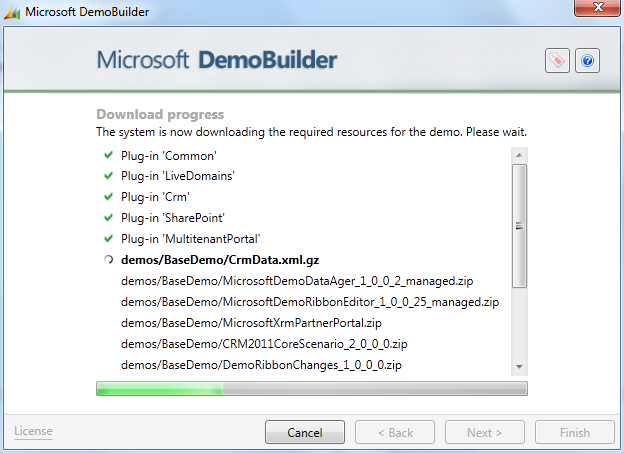 Pingback: Experiences with DemoBuilder for CRM 2011 | CRMHobbit's Dynamics CRM Blog…or "Implement there and back again"